Fantasy Magazine was a digital magazine focusing exclusively on fantasy fiction. 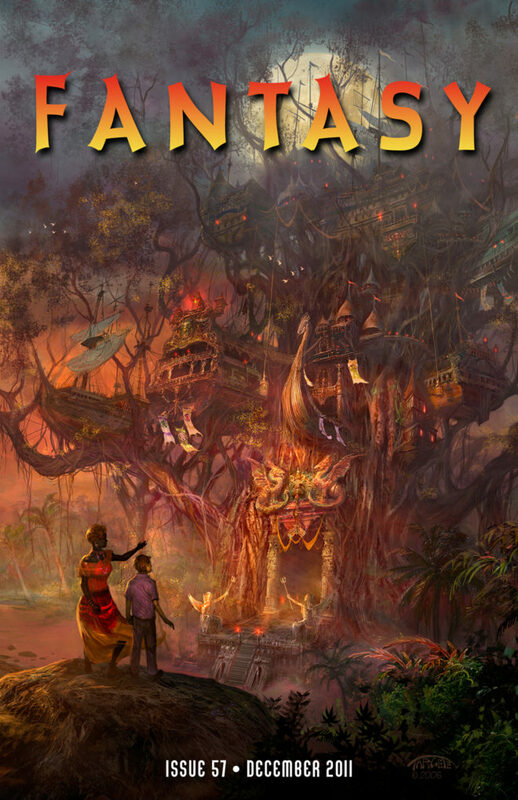 In its pages, you could find find all types of fantasy—high fantasy, contemporary urban tales, surrealism, magical realism, science fantasy, folktales… and anything and everything in between. In January 2012, Fantasy merged with its sister magazine, Lightspeed. Now, all future Fantasy content is published as part of Lightspeed, so Fantasy as a separate entity is now inactive, but its web content remains online as an archive of all of its past content and all back issues are still available for sale. Most recently we published three one-off special issues of Fantasy as part of Lightspeed’s “Destroy” project.